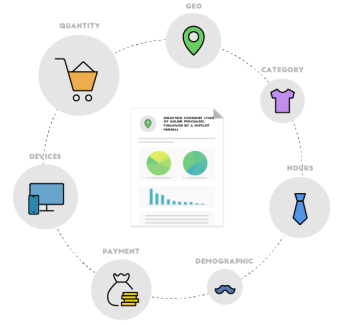 This report brings you aggregated statistics & trends as seen across 100+ Retailers, 1.4 million Shoppers and over 2 million Transactions. Dive into the mind of the Indian Shopper from multiple angles. Understand trends & behaviours in detail – key for any retail business relying on Digital. Every section includes exclusive commentary with key takeaways and possible actions to leverage them. Who's the more active buyer? What’s the most preferred channel to shop? Do you know the most preferred mode of payment?